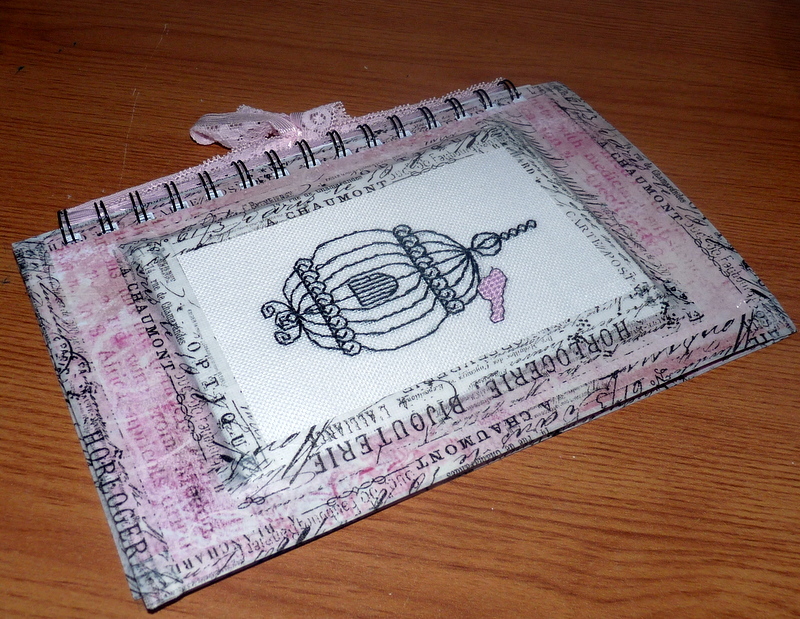 The idea is to make an A5/A6 sized diary/journal or notebook. Rather the cover of it and include the diary etc inside. The possibilities are endless you can scrapbook, sew, knit and more! But to get you started..
Notebook Folder tutorial from Riley Blake Designs and a Journal Cover tutorial from Bloom and Blossom. Rules: Sorry but there is a need! Medium: As long as you make it yourself it can be in any medium either sewn with fabrics, patchwork, knitted, crocheted, crossstitched, felted, scrapbooked…. How to Sign Up: Either leave me a comment here or email me at squintessential@hotmail.co.uk please don’t forget to include your email address. Once the enrolment day has passed I will pair you up and email you with your partner. There is a Flickr Group with the aim to chat and keep everyone up to date on your progress.